Do you want to go to Mount Namuli? A lot of people have been asking me recently if they can come visit Mount Namuli and meet the people who call this special place home. In response, we’ve teamed up with Google Jump and filmmaker Ross Henry to create a 3-minute Virtual Reality film, Mountains = Water = Life, to take you right to the heart of the mountain. Mountains = Water = Life tells the story about the power of one mountain and its water — tracking water from the rainforests on top of Mount Namuli all the way on its journey to the Indian Ocean — 200 miles away. Need another reason to check it out? It’s narrated by the Queen of Namuli herself. So, get your VR goggles ready and check the film out in English here and in Portuguese here. 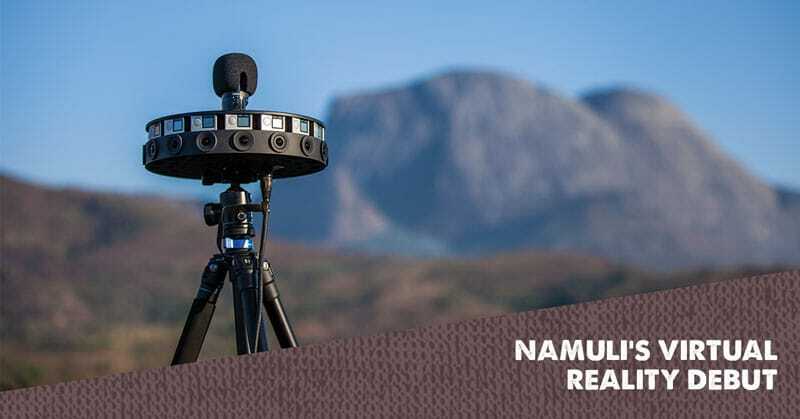 If you don’t have VR goggles, no worries at all – you can still check out the film on YouTube and explore the 360 view of Mount Namuli by clicking and dragging around the screen. Would you like to learn how to go and visit Namuli in person? I’d love to talk with you about how to join me in 2019.